Thank you to all of our customers who continue to make our family tradition a part of your own. 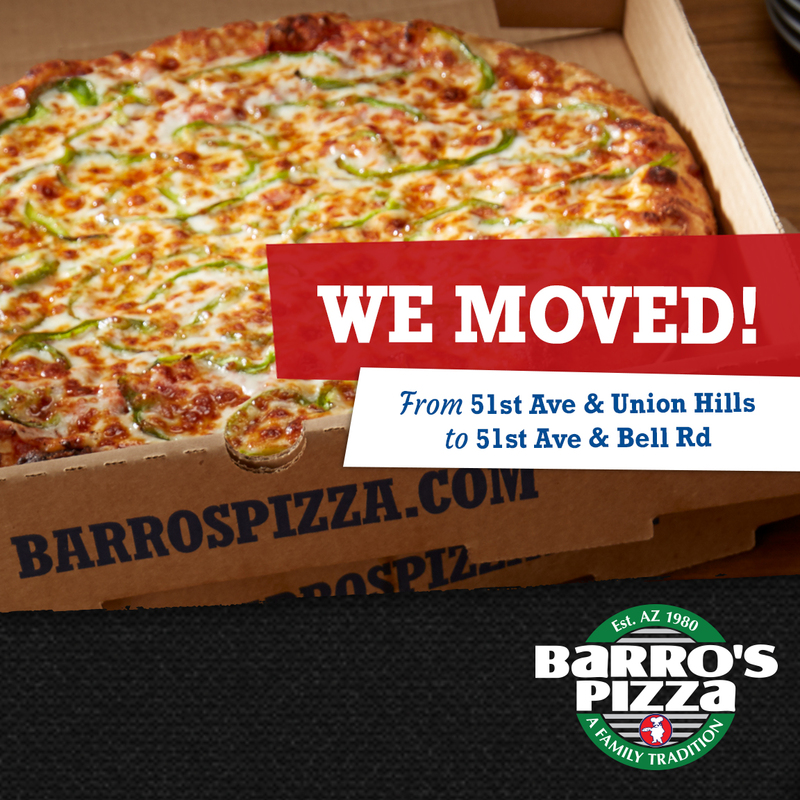 Barro’s Pizza is excited to announce that we have moved to our brand new Glendale location! Our restaurant is on the SW corner of 51st Ave. & Bell Rd., just a mile down the road from the old 51st Ave & Union Hills Dr. location. This new location will feature the same menu, values, and traditions that our customers expect from each Barro’s Pizza restaurant. This location will have dine-in, take-out and delivery options for you to order pizza, chicken wings, salad, sandwiches and more! Visit https://www.barrospizza.com/locations/ for more information and menu of our new Glendale location, or to find the Barro’s Pizza closest to you.